The package comes with one dozen squishy balls to share or keep as back-ups. Fun shapes, faces, colors, and characters make using the stress balls fun and unique. Squishy but firm structure good for squeezing and hand exercising. Safe for children over the age of all ages. A variety of balls to choose from that tailor to the interests of each individual. Some notice an odd smell coming from the product. Certain shapes with gel spikes can rip off easily, making it unsafe for small children if ingested. Excessive stretching and pulling of some shapes may deform the product permanently. This is the summary of consumer reviews for Stress Balls Puffer Stress Relief Toys. The BoolPool rating for this product is Very Good, with 4.40 stars, and the price range is $7.00-$17.00. With an assortment of 12 different handheld stress relief balls per package, the Stress Balls Puffer Stress Relief Toys are a great value for the number of items the customer receives. 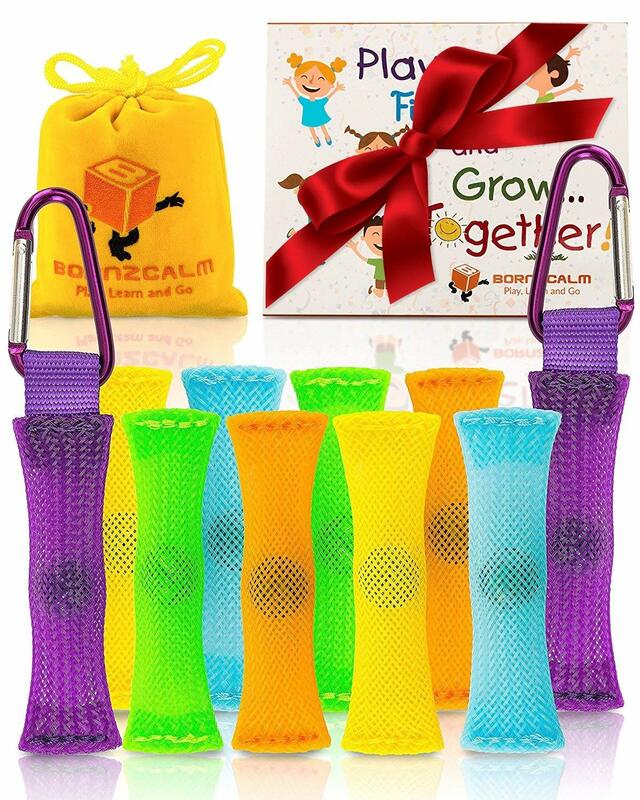 Customers rave about this toy, that is good for all ages, especially good for those who are looking for stress relief, fidgeting relief, hand exercises, hand therapy, and more. In the 12-pack, no two shapes, sizes, faces, and formations are the same! Children love choosing their favorite smiley face or squirmy critter and squishing them during class, at recess, or at home. These stress relief balls are great for gifts, party favors, and more. Some users complain the balls let out a strange odor that smells somewhat like plastic, making them undesirable to some children. Others say after a lot of squishing and reshaping, some tiny pieces may rip off, or facial expressions on the ball eventually deform. Generally, users highly recommend this pack of stress reliever balls for pinatas, birthday party favors, and more. They are as unique as each individual in your life! I work with kids with ADHD and these are highly coveted by all. I wouldn't order these for kids...I feel like the don't seem safe for little ones. I ordered this for a small conference room at work for our team to use while brainstorming. Those are the low quality. I'm so happy I decided on this assortment. I purchased these as prizes for an annual Knowledge Bowl contest for third graders and these squeeze balls were an absolute hit with the kids!. Very cute but a little disappointed with the quality and strong seemingly-toxic smell. Colorful, happy and stress relief so needed and welcomed for teacher's and staff!. Cute, brightly colored squeeze toys that'll please my students when they start school this year. Super cute and great as a small office gift. Good stress balls for my office. All different styles, colors, and designs. These are very good stress relievers for my grand daughter. Probably good for party gifts, but not for stress relief. I bought these for my clients and for my daughter. The light up one isn't appropriate for stress relief or for kids to use in school. I plan to use them during counseling and interviews with students, so the variety will be a great way to give them a choice. The variety of squishies was just right. My order arrived as expected. Mine haven't been used yet, but any item like this I'd expect to show signs of abuse pretty quickly with kids pulling and poking on it. I'm so glad I ordered them. Nice variety of sizes and firmness to exercise his hand. I definitely plan to order more when I need to replenish the supply. My only complaint is that once the kids pull and stretch the gel filled ones, they loose the cuteness because they look deflated. There's a great assortment...perfect for my middle school students. Other than that, they're a big hit with my students who use them to concentrate in class. I have a lot of anxious kids come through my office and it's nice to have a variety of stress toys for them to use. No two kids ever seem to choose the same favorite to use. Awesome variety, and great price. Definitely worth the reasonable price. These we're okay for the Price. Students got to choose their favorite ball which was good as there was a variety to appeal to many of the interests of the group. However I didn't receive most of the items shown on the photos. I've a lot of anxious kids come through my office and it's nice to have a variety of stress toys for them to use, no two kids ever seem to choose the same favorite to use. There are more "squishy items" than actual stress balls but my adolescent and adult clients alike, REALLY have enjoyed them. Nice assortment and some different styles. I ordered these for my grand daughter. These are incredibly fun little toys that'll entertain kids old and young. All very easy to use and fun!!!!. They look like they'll be fun. Fun bright colors to toss around in the pool. Wildly fun for range of ages from 3-13, Pinatas were stuffed with toys and candy these toys were very popular. We bought these for my son, who's 3 1/2. 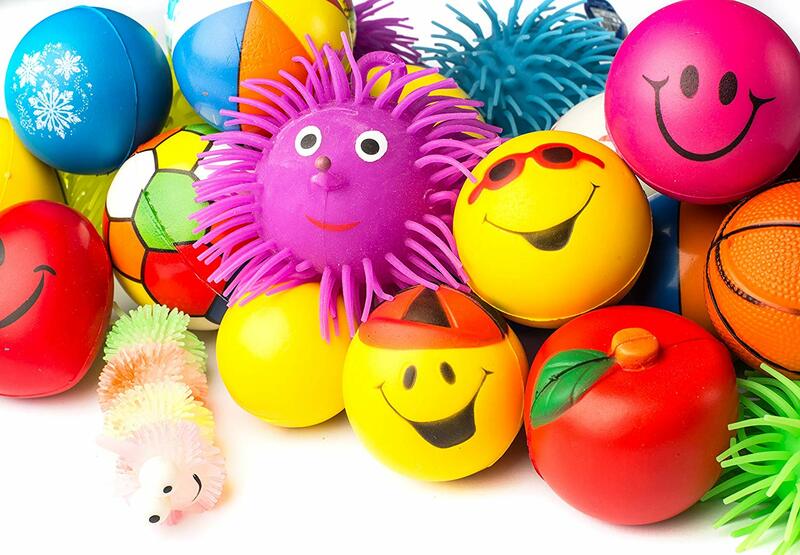 They're a great assortment of sports balls, light up stress balls, and are a lot of fun!. The ones that pull and stretch come open super easy and are no longer inflatable. The 3-5 yr olds playing with them were able to pull off the fuzzy rubber hairs and 2 exploded all over. Perfect to have handy for students that need a fidget! The other toys are perfect. Perfect to have handy for students that need a fidget!. Bought for a classroom treasure chest and were they perfect. Great assortment of toys, perfect for my daughter. This package is the perfect combination of items- lots of variety and color. It's a perfect giveaway to those that attended. These balls are perfect for what I'd in mind. 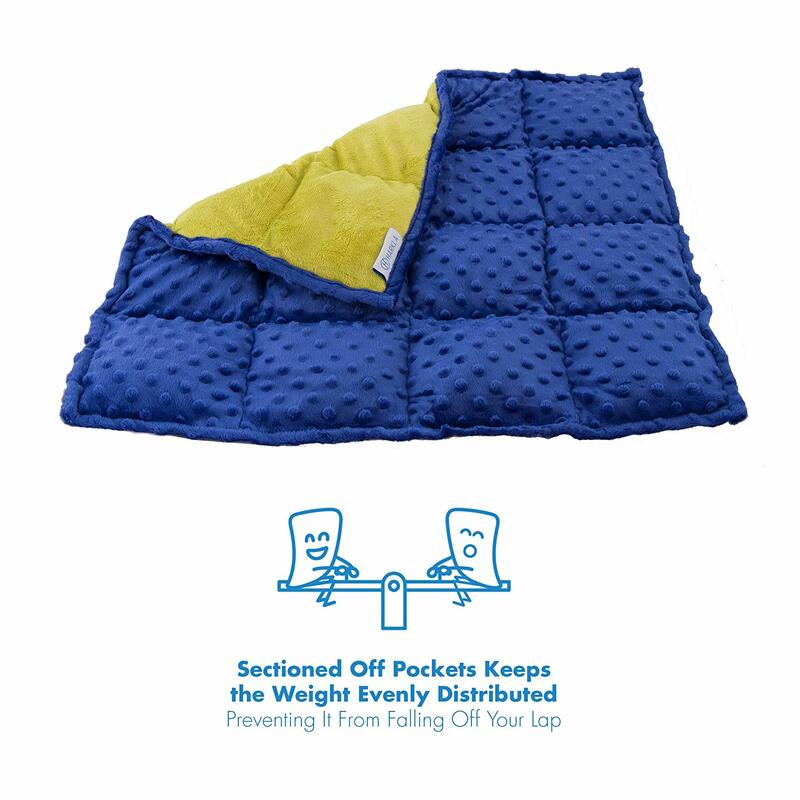 They're tactile and perfect to use for kids as well as anyone with anxiety. It was perfect for the pre-school kids instead of filling the bags with unhealthy food or candy. I bought this for my son's classmates. These stress balls arrived promptly, and are all very high quality. Very nice for kids and adults.....loved them. Great colorful assortment of stress/squeeze balls for adults and children alike. Product arrived on time and exactly as described! I bought this as party favors for my grandkids, aged,10 through 2. It'll serve them all well. The product was as expected besides the smell. Poor quality- two have already broken and have a gross smell to them. We used them as Party Favors to stuff a pinata....And they were a HUGE hit-even the adults were trying to grab them from the kids. The kids of all ages will love them. They loved the variety of stress balls. Everyone loved the funky, squishy shapes. MY BABY LOVED HER NEW TOYS. But they loved the product.